Protruding pincers, two sets of wings, and a slender body with six legs to move fast. Just reading the description of an earwig is enough to set most Denver residents on edge, let alone the reality of having these bugs invade your lawn and home. 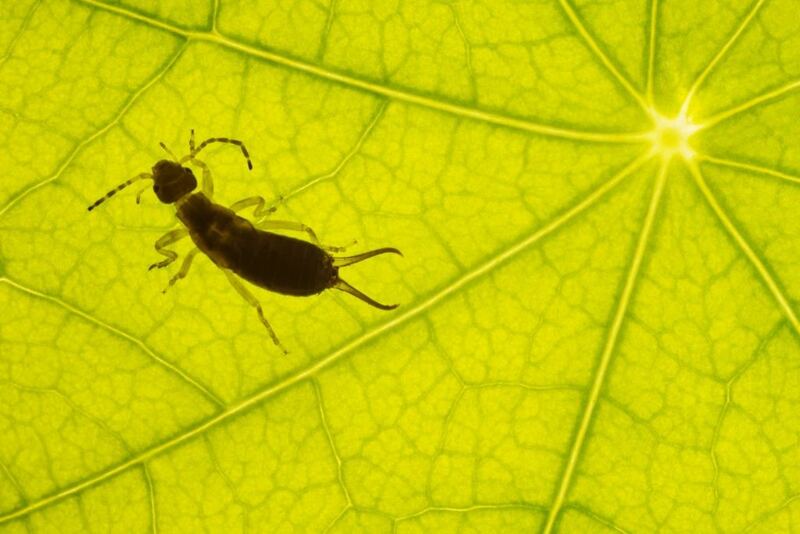 Earwigs are common to the Denver area, so protect your home against them today with Lawn Doctor’s insect control treatments. We’ll keep your Denver property free from bugs all year round, so you can have fun without wondering what’s lurking in your home. Lawn Doctor has been handling Denver’s earwig removal needs since 1972. By 1979, we had brought our quality services to Colorado Springs, followed by establishing our Pueblo operation in 1985. Now you can find our exterminators all over the entire Denver area in cities like Lakewood, Aurora, Littleton, and more. The experienced technicians at Lawn Doctor live here and love Denver with the same passion that you do. We’ll strive to bring quality and holistic practices to all earwig control services that we provide. Earwigs work their way into Denver homes, seeking damp areas like kitchens, bathrooms, and basements to wreak their havoc. Despite the prevailing myth, these insects won’t crawl into your ear, but they will cause damage to plants, books, and papers around your property. Lawn Doctor will eliminate any insects in your home with minimum treatments. Instead, our earwig control focuses on prevention, so you don’t see them again. A pleasant cedar and peppermint oil is sprayed along the border of your property, creating a barrier that bugs can’t pass. At Denver’s Lawn Doctor, we stand by our insect control services and if one of your treatments is ineffective, we come back until you are satisfied. Get the confidence that your home and yard in Denver are safe from earwigs when you choose Lawn Doctor’s extensive pest control treatments. Scientists believe earwigs release a scent that attracts larger numbers to them which means that if you see one bug, there are likely others hiding undetected. Our comprehensive earwig removal services handles any bugs in your home stops more from coming. Don’t let even a single earwig past your perimeter with our 4-Service Yard Armor Program. An exterminator will spray your Denver property every season for continued insect control the whole year.